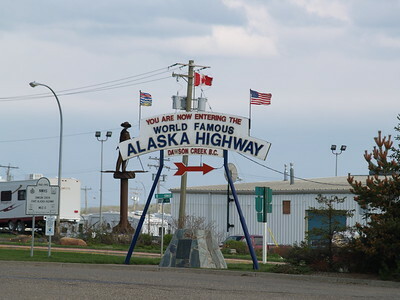 In late May 2007, I drove the Alaska Highway. We didn't lose a windshield or get a flat tire. 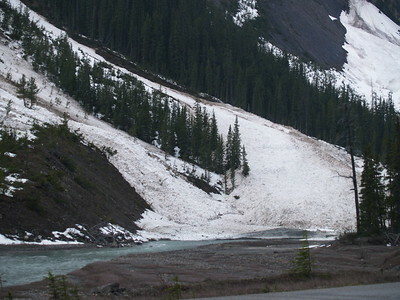 The route is paved and a challenge at times, especially the frost heaves, which are marked by flags. We devised a slalom technique to "ski" around them when there was no traffic coming from the opposite direction. It beat hitting the brakes to slow down every few minutes. We left Cleveland and drove all around the central interior of Alaska and ended up in Skagway, then took the ferry to Juneau. My friends and daughter went home and I stayed behind in Sitka to work as an archaeologist for several weeks. 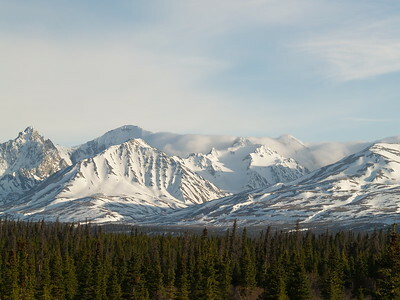 Driving the Alaska Highway is so fun! 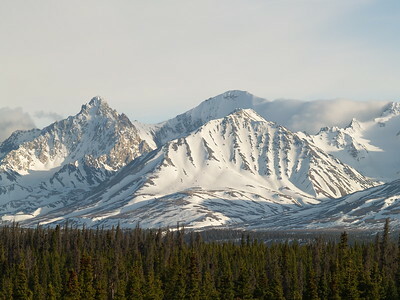 It is just gorgeous and these photographs do not begin to represent the incredible diversity along the route. It is well worth the adventure. 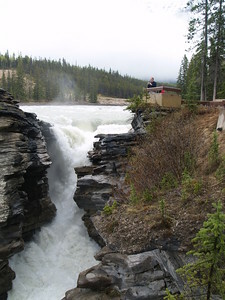 I recommend flying into Calgary or Anchorage and renting a car from there for your trip. 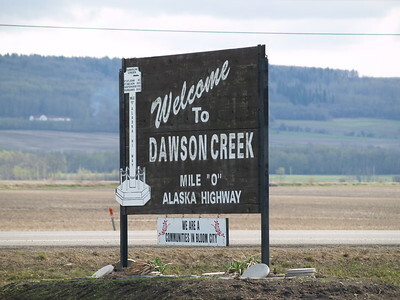 We stopped at the small airport outside of Dawson Creek to find a restroom. Eventually, we just drove into town. 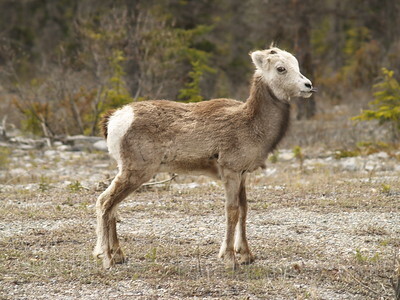 The mountain goats were nibbling at grass and early shoots on the side of the road. I got this little guy as he stuck his tongue out. 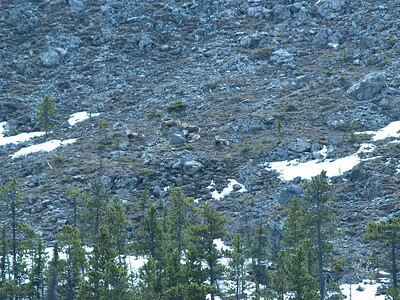 You can barely see them against the rocks but there are more mountain goats. 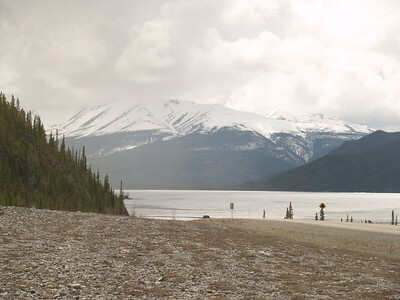 This is not too far past Muncho Lake, heading north. 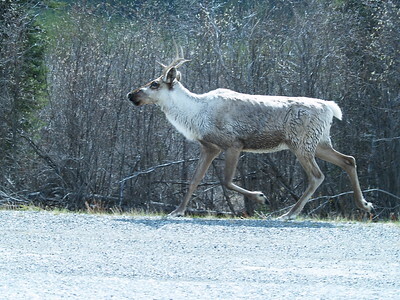 Elk were everyhwere, including trotting along with the vehicles on the side of the road! 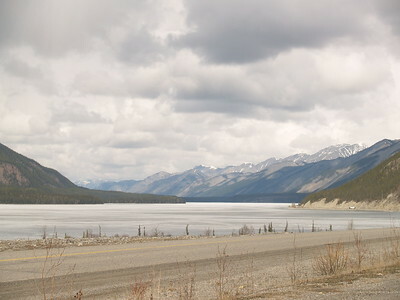 Muncho Lake Provincial Park - the lake is still frozen. 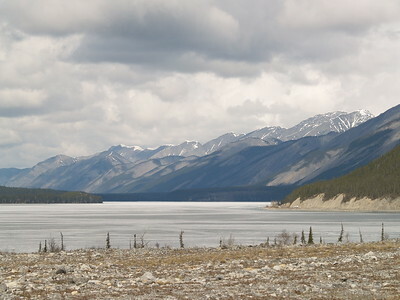 Another view of Muncho Lake. Muncho Lake - despite the clouds, it wasn't terribly chilly on this travel day. 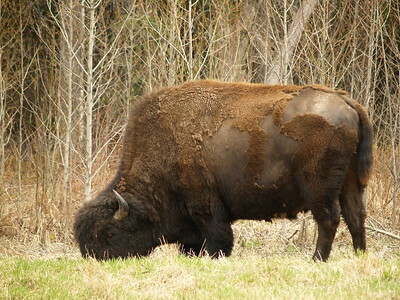 Bison - at one point, they cross the highway, leaping over a concrete barrier. I just had a bison burger for lunch when we came across this herd. 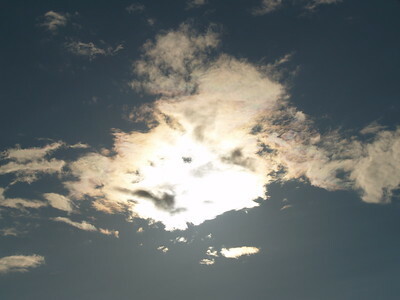 Beautiful "mother-of-pearl" effect of the sun and clouds. 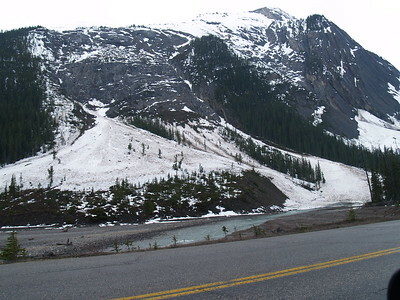 Upper BC portion of the highway. 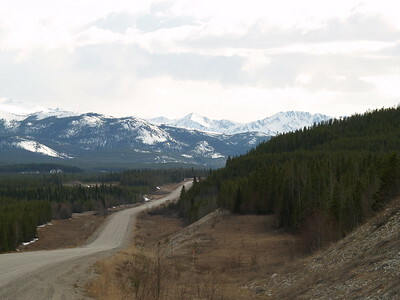 This is in upper British Columbia, not quite to the Yukon Territory. This just gives you an idea of how desolate and beautiful the scenery is, even before spring has greened up the region. The road is paved although it doesn't quite look like it in this scene. 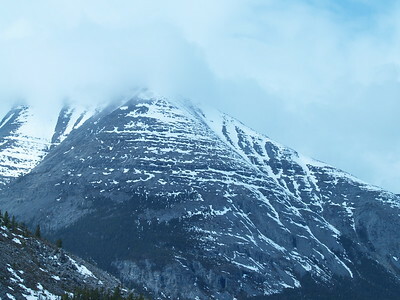 Part of the Cassair Mountain range. 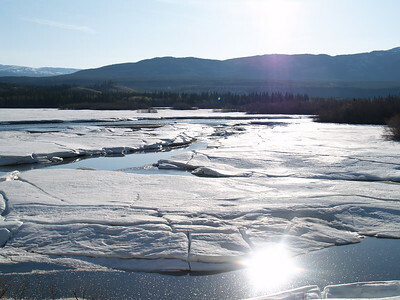 Early morning sun outside of Whitehorse as the ice breaks up on the river. 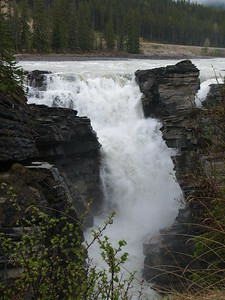 This is late May, 2007. 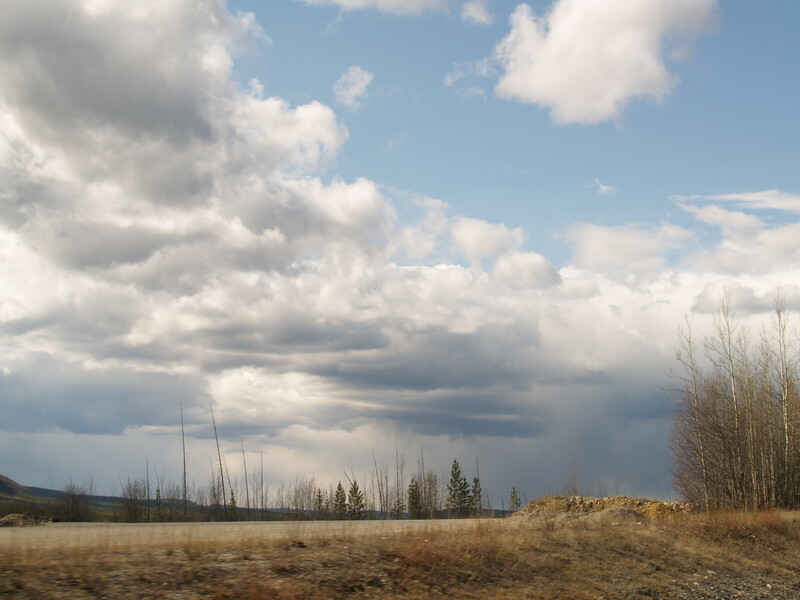 This was outside of Whitehorse, Yukon Territory. See the original road in the foreground? No leaves on the trees quite yet in mid- to late May. Outisde Haines Junction, YT, about 10 pm. 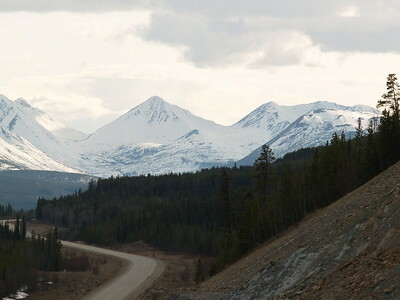 Outisde of Haines Junction, YT, about 10pm.